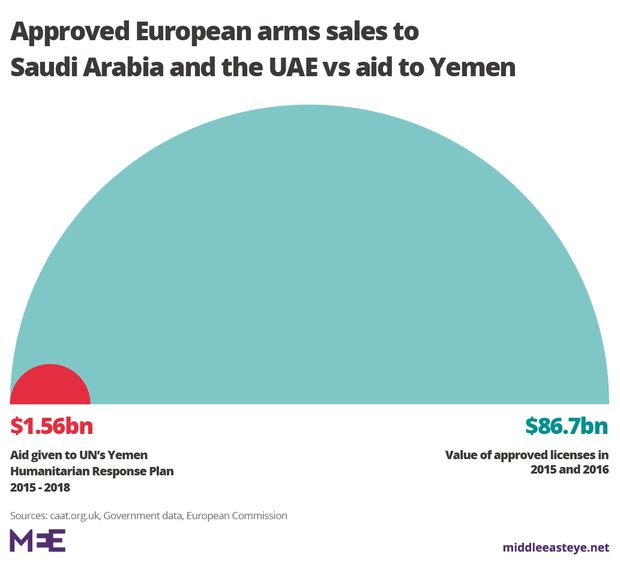 (Triangle News) — In an article published in the UK’s Middle East Eye (MEE), Triangle’s founder Paul Cochrane highlights how European nations arms sales to Arabian Gulf nations stand in stark contrast to their calls for peace and humanitarian assistance to Yemen. According to data collected by Cochrane, more than $86.7 billion in arms sales to Saudi Arabia and the United Arab Emirates has been approved by European governments and the EU. 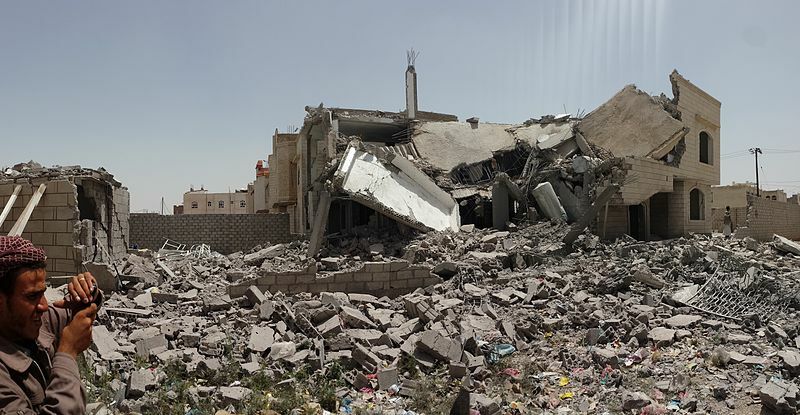 By comparison, these arms sales are nearly 55 times greater than the $1.56 billion in aid that has been provided to support the UN’s Yemen Humanitarian Response Plan. Furthermore, the UN’s 2018 humanitarian plan for Yemen is presently 35 percent underfunded.